An Object is a Copy of a Class. 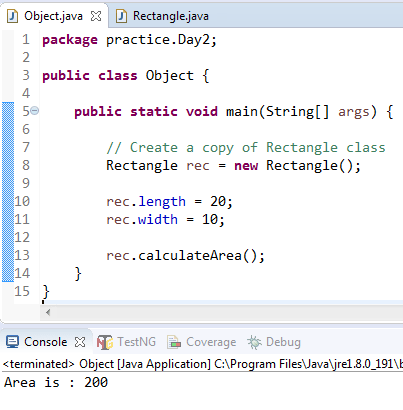 Each Object can use Variables & Methods of a Class. 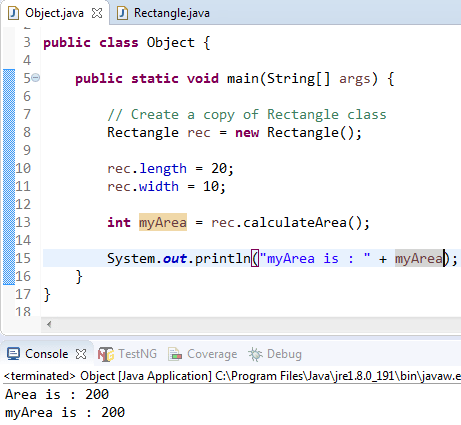 A Class is a Template for Object. 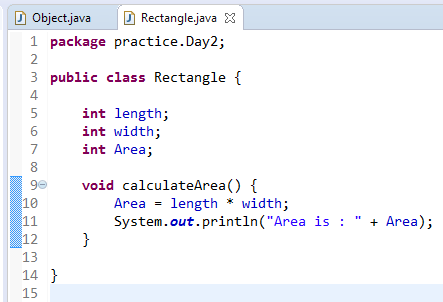 Initialize Object of Rectangle Class and use Data and Method in it. this. will use Class Level Data.